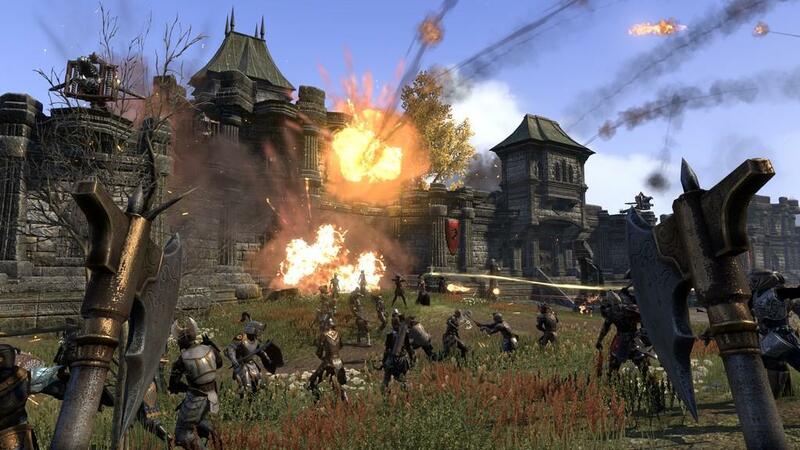 Back in 2014, after seven years of development, Bethesda and Zenimax finally released The Elder Scrolls Online, an MMORPG that fans of the series were frothing at the mouth for. However, the initial joy that players felt when it was launched quickly turned to frustration. Numerous bugs, issues with grouping, a progression system that upset players, and the subscription model all led to the companies getting together and deciding they needed to go back to the drawing board to come up with an improved game. After about a year of work, ESO: Tamriel Unlimited was released, and I'm here to tell you that Tamriel looks and feels a lot better than it did in my first run. 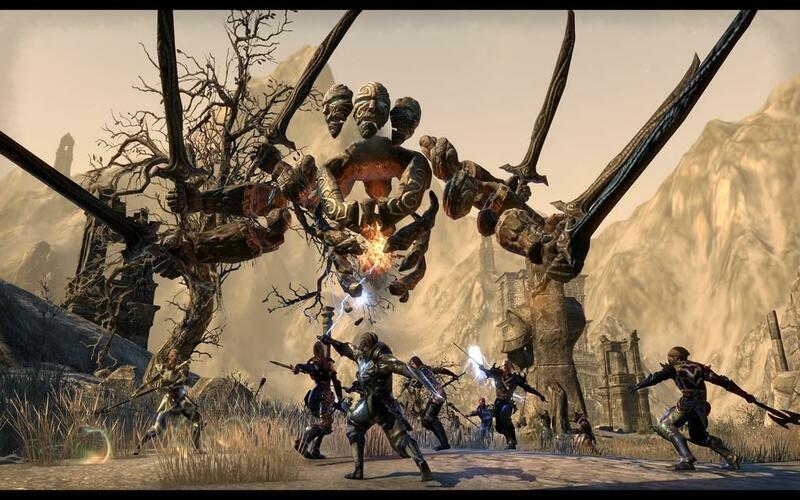 I was a Day One player of ESO on my PC and had taken part in the beta events leading up to launch. However, in a couple of weeks, I found myself in the shoes of many other players dealing with glitches, bugs, server problems, etc. It got to be a bit much to handle and I would eventually move on before my first month was finished. 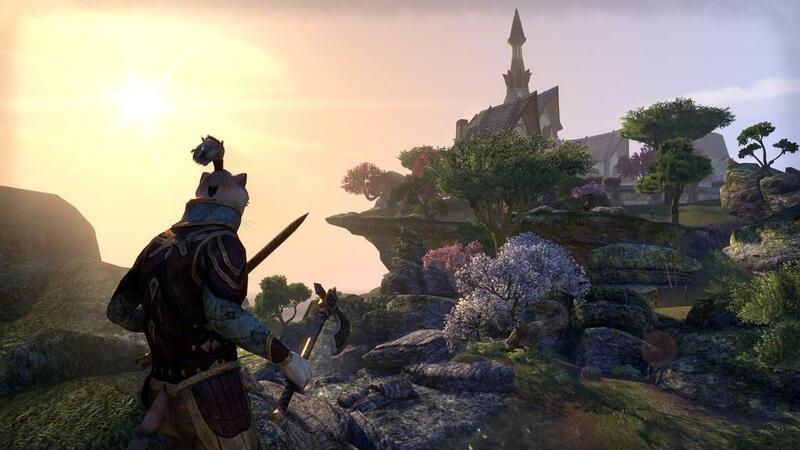 I was happy to hear that something of a reboot was in the works not long after the major issues were reported, so when the opportunity came up to give the game another swing, I stepped up to jump back into the world of Tamriel. Interface wise, not much has changed. The heads-up display is still paying homage to Skyrim with the compass at the time and hidden life, magicka, and stamina bars that only appear when they are being depleted. While it isn't the same engine that runs Skyrim, it's at least close enough where navigating the menus isn't cumbersome, though some of the layout on the Xbox One does get a tad annoying and isn't nearly as clean as the PC version was that I played in my first campaign. A minor annoyance with the HUD, though, is a lack of an experience points bar. While I understand that the idea is to give the player a feel of past Elder Scrolls titles such as Skyrim, Oblivion, and Morrowind, if a game is going to be advertised as an MMORPG, then leveling is absolutely paramount and should at least have a home on the main page. On the flip side, the character's skills are marked with hot keys on the bottom of the screen to give a similar feel to the PC version, though it's obviously limited by the amount of buttons on the Xbox One controller. I stuck to my roots and rolled a sorcerer, though my build would end up being more of a battle mage that wielded a one-handed sword but could still take advantage of magical attacks, though I still have a feeling of unmet expectations simply because the magical spells are quite underwhelming. In Skyrim, magic was the great equalizer and not only felt that way, but looked that part. 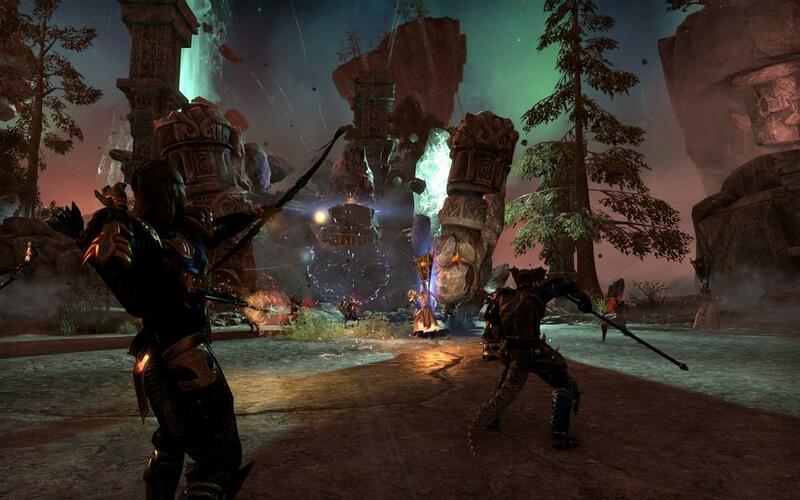 With the sorcerer roll in ESO, the spells that are first accessed don't do much to make me feel like I'm powerful. Crystal Shard at least turns into some more powerful spells like Crystal Blast and Crystal Fragments, but it's still nothing like in Skyrim where Chain Lightning could mow down an entire ZIP code of enemies. Perhaps my expectations are too high, but this left a bad taste in my mouth. Over time, though, I got used to the build and was able to cut down enemies with my sword while still using my magic to control crowds if necessary; a true testament to a damage dealing magic user. Tamriel looks as beautiful as ever on the Xbox One, though there are some minor issues with clipping in some parts of the world. NPCs tend to be smooth with interactions, but I experienced some issues when coming out of those conversations where the NPC would error out and appear to be speaking, but nothing was coming out. It especially gets bad when multiple players are around the area and the voice chat is going off. The game almost doesn't know how to handle numerous audio files at once when coupled with standard XBL voice chat. It's disappointing, but turning off voice chat in the settings menu fixed that issue. Speaking of the voice chat, this is a problem on Xbox One. While Bethesda and Zenimax have both admitted that it's somewhat of an imperfect system in the past, that isn't an excuse as to why I'll hear someone quite loudly who is nowhere near my character then, five seconds later, have someone right next to me that I can barely hear even though the feedback dictates that they're within close proximity to my character. This was one of my fears jumping into this title as an MMO on the console. If you really want good interaction, I would advised to find a strong group of friends and stick to group chat to avoid any further issues as the game can experience a slight loss of framerate if there's too many NPCs and players altogether. 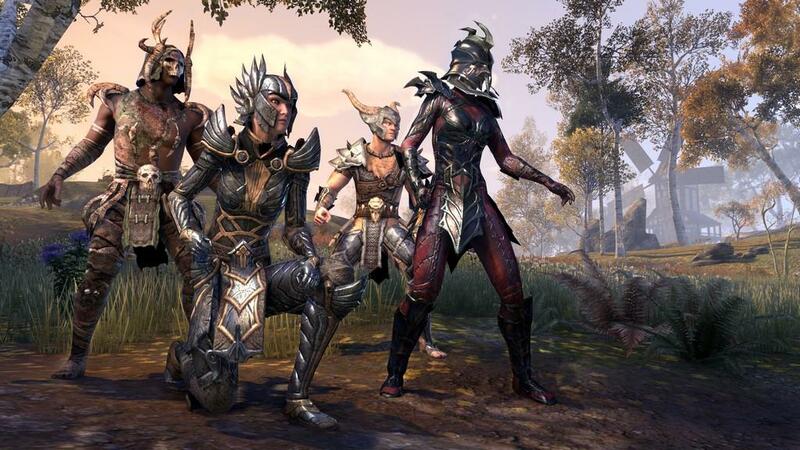 With Tamriel Unlimited, Bethesda and Zenimax did away with the subscription and opted for a cash shop, much like you see in some MMOs on PC like Guild Wars 2 and Perfect World International. There's nothing wrong with cash shops so long as they're implemented correctly, and I think that someone dropped the ball on how to handle this aspect. The cost of various items will range anywhere from 200 Crowns (the cash shop currency) all the way up towards the 2,000 range. The issue, though, is that the Xbox One Marketplace only has a couple of offerings for crowns that ends up somewhat uneven, especially if you get the Imperial Edition upgrade that gives you 500 Crowns. For example, the Starter Pack has some great items in it that can make early adventuring much easier to handle. If you get the Imperial Edition, you'll have those 500 Crowns, but the Starter Pack goes for 1,500. That means I would need 1,000 Crowns in order to get the pack....but there's no 1,000 Crowns option. It's 750, 1,500, 3,300, or 5,500. The split makes very little sense to start out with that freebie and, thus, it makes sense to just burn the 500 on a couple of small items that a player may not get great use out of and then coming back to the starter pack with your own money. Again, cash shops are fine and are a staple in free to play MMOs, but there needs to be some freedom and flexibility with what can be purchased. Adventuring out of the early levels seemed a little easier this time around, though I also made sure to knock out every little quest I could to take advantage of whatever experience points I could get. EXP is granted with every kill and quest completion, but the balance seems off. Killing enemies doesn't grant nearly as much EXP as one would hope for, while quests are almost too rewarding. I want a happy medium where I can go out and kill a bunch of things and, when I feel like questing, be challenged and rewarded with a similar amount for my time spent on that quest. Questing, at least, is about as perfect as it gets with the journal. Selecting a quest to be the current option will make markers appear on the compass at the top of the screen. 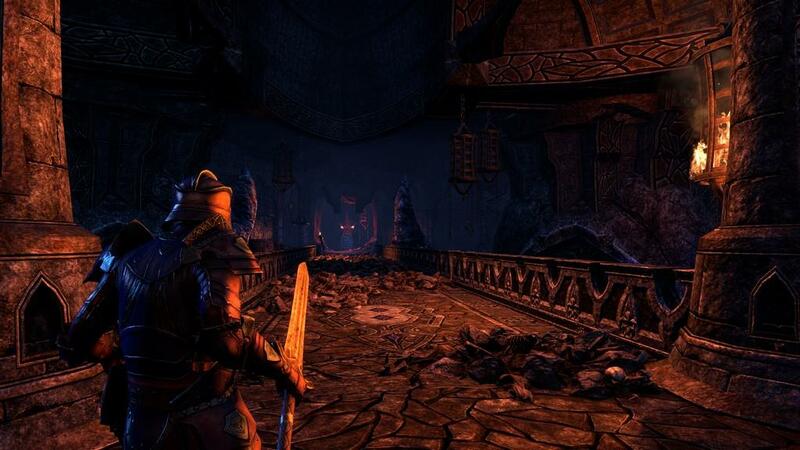 Once the player is aimed perfectly at the marker, the game will actually give a hint as to what that marker is and sticks to the basics of Elder Scrolls by increasing in size the closer the player gets to that spot on the map. Filtering quests is pretty straight forward, as mentioned, and are also broken into geographic areas. The main quest line is also kept in its own category so there's no confusion as to what the main story is and what the side quests are. I put a fair amount of time into this game and experienced more highs than I did lows with my second jump into this MMO. Server issues seem to be better, though I did experience a few drops and loss of connection early on. I was also somewhat confused when I first created my character and found myself waiting in a one man queue for almost an hour. It turned out that the servers were actually down and couldn't get a connection. Most days were good, but in my three weeks that I spent with this title, I experienced 13 drops of connection, seven of which ended up being servers dropping off long enough to get booted out of the system entirely and not just lag. Disappointing, but at least the final week I played I experienced no drops, giving me hope that the problems are somewhat resolved and my adventuring will be unhindered from this point forward. 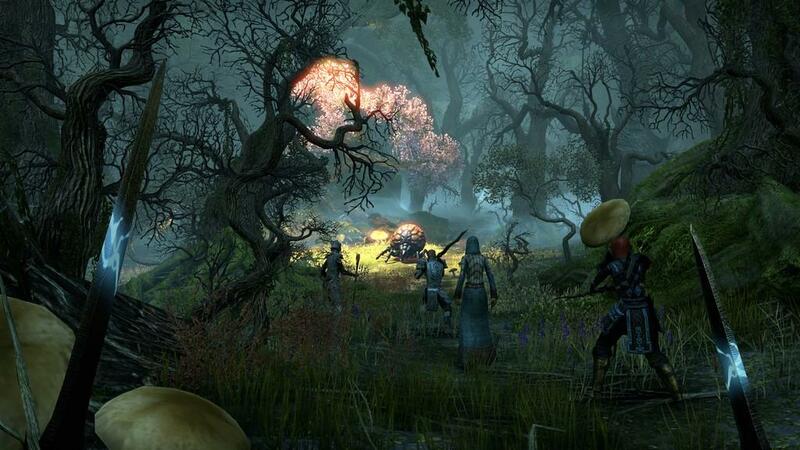 Elder Scrolls Online: Tamriel Unlimited has addressed many of the issues that plagued the first title. There are still some issues with clipping, connections, and voice chat, but the game is still quite enjoyable with plenty of quests to complete and areas to explore. 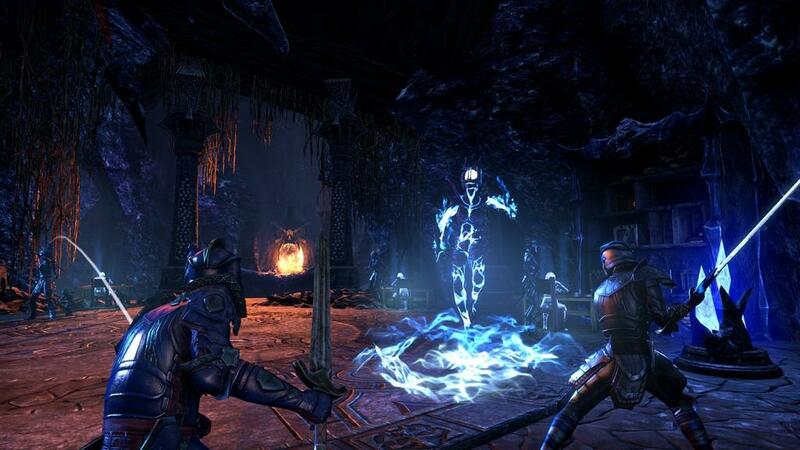 It isn't the perfect MMO by far, but at least it's one that won't cost you $15 a month and you can come back to it whenever you feel like exploring Tamriel.